Huston-Tillotson University is a small NAIA school in east Austin, just a stone’s throw east of Interstate 35 near the Colorado River and about 300 miles north of the Rio Grande Valley. For Valley softball players who have flocked there in droves, it might as well be next door. 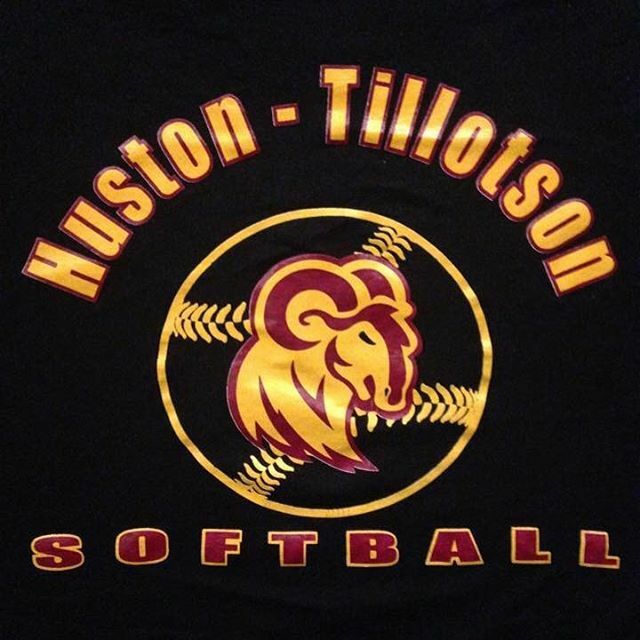 Huston-Tillotson, a historically black school, has become a magnet for Valley softball players as of late. This year, at least nine of the Lady Rams’ 17 players are Valley natives. Edinburg, Pharr, San Juan, Los Fresnos and San Benito all have players on Huston-Tillotson’s roster. Hispanic players are common on collegiate softball rosters throughout Texas, and recently RGV girls have been quite successful at making the rosters of junior colleges and smaller universities. Several Valley athletes signed to schools at that level this year. But to dominate a roster like Huston-Tillotson is unusual. Fourth-year HT coach Roxanne Rodriguez is recruiting the RGV like no other. Rodriguez, an Edinburg native who played at Economedes High and later at HT, has said that RGV talent is often overlooked. She enjoys giving girls from the area a chance to excel, said area high school coaches. The Lady Rams, who play in the NAIA Red River Conference against teams such as University of Houston-Victoria and Jarvis Christian, were spearheaded this season by Edinburg High’s Victoria De Leon and Gina Garza. De Leon, a junior third baseman, hit .421 and led the 20-21 (16-10 in conference) Lady Rams in hits (56) doubles (16), triples (three) and runs scored (40). Garza, a sophomore shortstop, also did well, hitting .377 with 28 runs, 52 hits and 25 RBIs. Los Fresnos’ Zoe Castillo, a senior, batted .352 with 37 hits and 21 RBIs — fourth best on the team. Former PSJA Memorial star Amanda Aguilera was Huston-Tillotson’s pitching workhorse. The freshman started 21 of the Lady Rams’ 41 games and finished with a 12-10 record. Aguilera, voted the team’s newcomer of the year, also batted .333 and led the team in RBIs with 27. Also playing major roles on the team were PSJA North alum and senior pitcher/outfielder Cynthia Martinez, former Edinburg Vela SaberCat and sophomore outfielder Audrey Aguirre, and PSJA High alum and freshman catcher Jennifer Lopez. 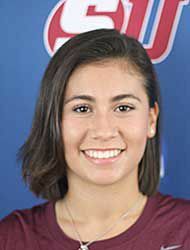 Former Sharyland High tennis stud Camila Anguiano was chosen as an Honorable Mention All-Southern Collegiate Athletic Conference selection for her performance this spring for NCAA Division III Schreiner University in Kerrville. The senior also was also named First Team All-SCAC in 2014 and 2015 and was the only Mountaineers women’s tennis player to make the list this year. In 2017, Anguiano had a 5-5 record in singles play, and in doubles competition the Villahermosa, Mexico native notched a 7-5 mark with doubles partner Kara Miller as the Mountaineers’ top duo. Anguiano recorded a career singles mark of 36-20 and went 44-25 in doubles. Academically, she made the Schreiner President’s list (above 3.75 GPA in a semester) three times. Texas Southern outfielder and PSJA High alum Christian Sanchez had the game of a lifetime in a recent Southwestern Athletic Conference tournament win over Jackson State. He went 3 for 5 at the plate with two homers and five RBIs in addition to stealing two bases. His second homer was a game-winning, two-run blast in bottom of the 10th inning that gave the Tigers an 8-6 victory. The win contributed to TSU’s four-game, title-winning run in the conference tourney and qualified the Tigers for an NCAA regional birth. TSU is only 18-32 on the year but claimed the SWAC crown. The 6-foot-1 outfielder and 2015 PSJA grad has hit .281 in 40 games started and is among the offensive leaders for Texas Southern, a Division I historically black institution in Houston. The sophomore also has just four errors in 100 chances in the field for a .960 fielding percentage. Rio Grande City’s Alex Garza, a high school shot put state champion in 2010 and 2012, completed his senior year with the University of Houston Cougars this spring. This season, Garza’s highlights included a second-place finish at the esteemed Penn Relays and a sixth-place finish at the American Athletic Conference championships. While the sports management major did not advance past conference this year, as a junior in 2016, he took third in the AAC outdoor conference meet and made the NCAA regionals, finishing 10th. The 6-foot-4 thrower spent his first two college years at Coffeyville Community College in Kansas, where he set shot put records.